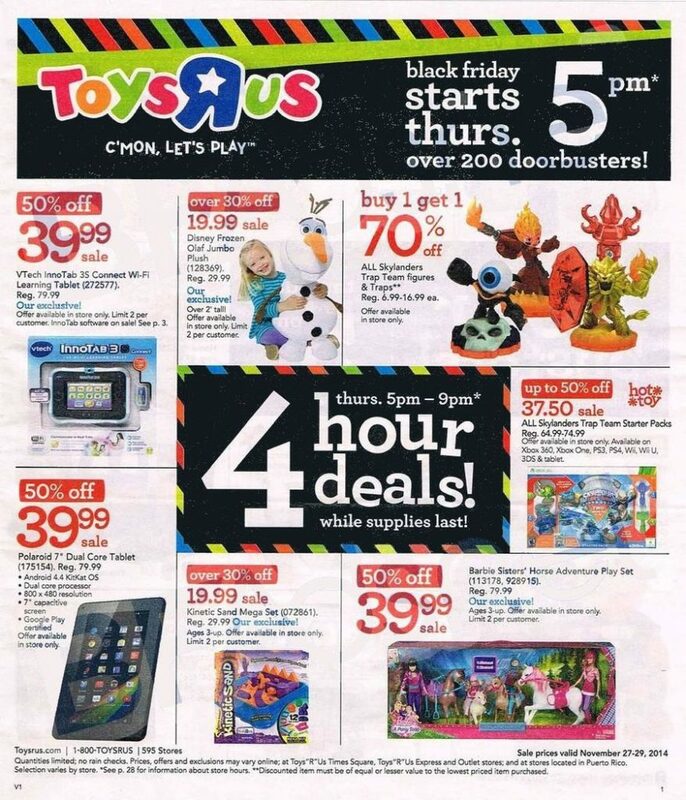 The Toys “R” Us Black Friday Ad has been leaked! Toys “R” Us will open on Thanksgiving Day at 5 p.m. Looking for more? Read more posts about Black Friday Ads 2014 & Deals Around Town.